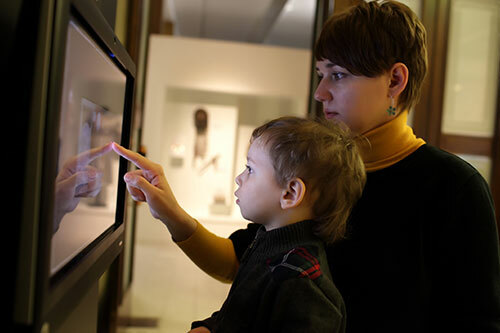 During your visit to the mansion, you can play and learn using the educational games and activities provided by the digital interactive applications of the Museum. Attempt to overcome the difficulties and guard checkpoints to climb the Castle, the Acropolis, home of the Ottoman commander and the guard, and at the same time discover many of the secrets of the topography and life of Athens during this era! Wander through Ottoman Athens and try to recognize and record the ancient monuments that were visible at the time – which were an integral element of the city then as well, determining its physiognomy – and make your own antiquities map. This will facilitate a subsequent visit to these monuments, and will be an invaluable gift to friends contemplating making a journey to Athens. Freely wander through the narrow labyrinthine alleys of the center of Athens of the 18th and early 19th century, setting out from your hosts at the Benizelos mansion. Meet locals and learn about their lives, as well as the most significant mainly public buildings of the period. 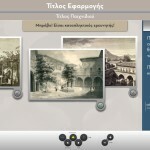 Locate the noble houses in images (engravings and/or paintings) of the period, recognizing characteristic architectural details also found in the Benizelos mansion. Uncover important secrets of urban architecture during the Ottoman period as well. This is a fictitious approach to the communication between the traveler Fauvel, who at the time was settled in Smyrna, and a colleague in Athens. Choose and read one or more “letters”, and reveal clues about life in the city and about its foreign visitors that few could know!